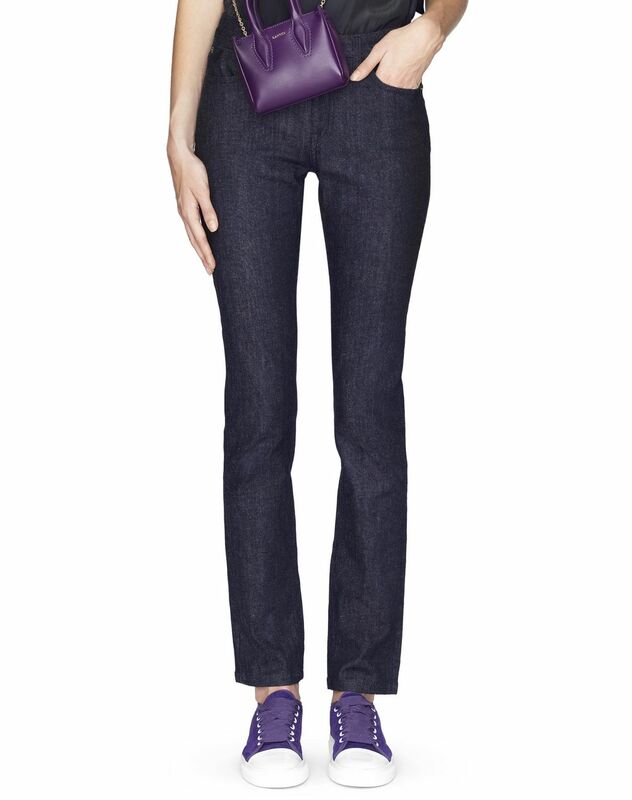 Indigo cotton weave denim trousers, waistband with belt loops, zip fastening and front button, scoop pockets and back pockets with jewel inset, and tone-on-tone topstitching on the back with "Lanvin" logo. 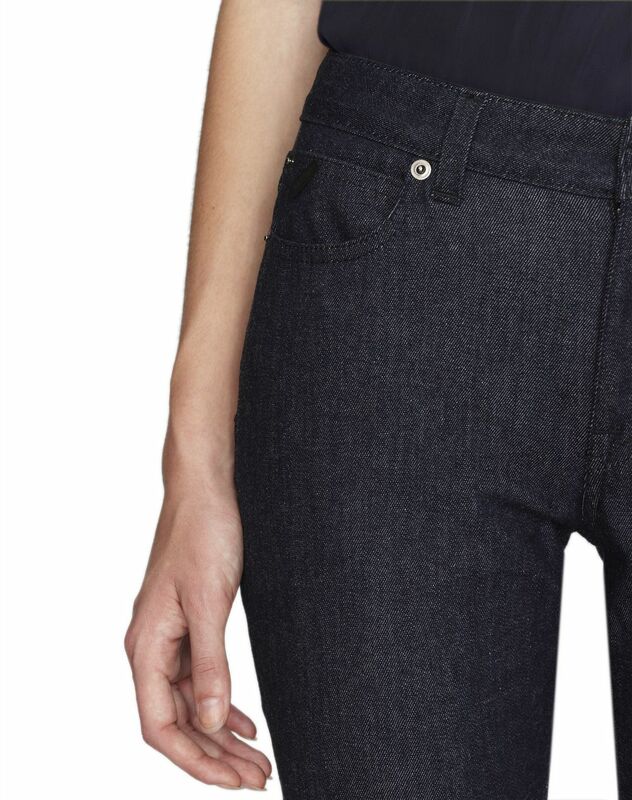 A must-have in the Lanvin woman's wardrobe, these denim trousers are comfortable to wear, and their slightly skinny straight cut will enhance your silhouette. 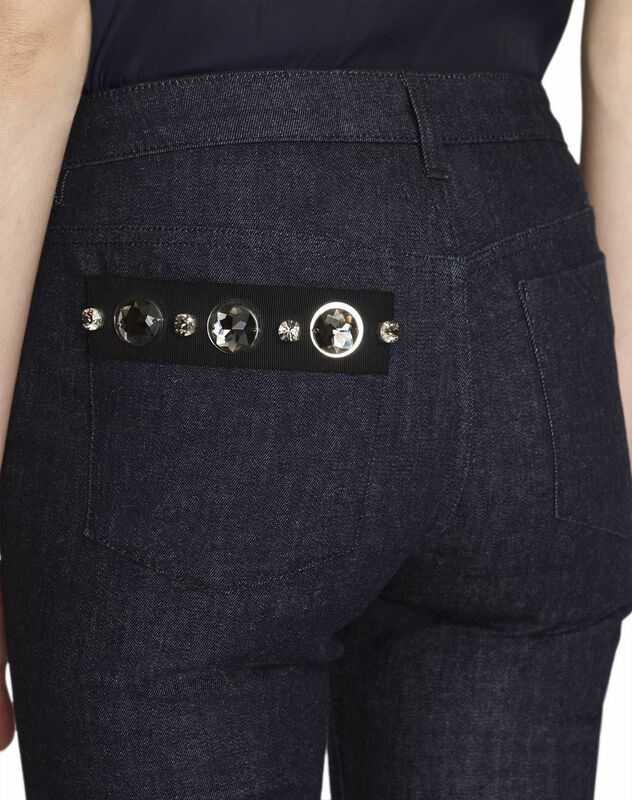 Adorned with a jewel detail inset, these easy-to-wear and easy-to-pair trousers provide a contemporary, casual look. Main material: 84% cotton weave, 14% elastomultiester weave, 2% elastane weave. 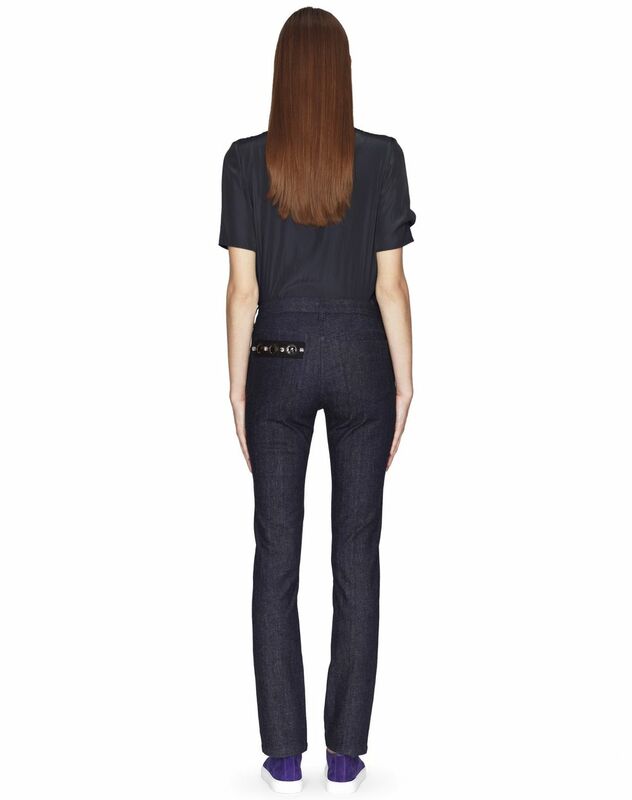 Model's measurements: Height: 178 cm Chest: 84 cm Waist: 59 cm Hips: 88 cm Model wears a size 4. Made in Italy.